There are only a handful of cities that speak for themselves when it comes to music. The scenes of Los Angeles, New York, and Nashville are undisputed for their artistic breeding grounds, and smaller cities like Boston, Austin, Atlanta, and more aren't far behind. But one place that might not be on your shortlist, but should, is that other city in Tennessee: Memphis. Why? We're glad you asked. Here are five reasons Memphis is worth its salt for an up-and-coming musician. Most folks know Memphis as the home of the King himself (Graceland remains one of the most popular American tourist destinations even today), but many forget how much else the city has to offer. The Bluff City is also home to the Stax Museum of American Soul Music, which walks you through the history of soul from its roots in gospel to the magic of Otis Redding. (Did you know Aretha Franklin was born in Memphis?) There's also Sun Studios, where folks like Johnny Cash, Elvis Presley, and Jerry Lee Lewis recorded some of their biggest hits (and you should check out the Sun Studio Sessions). It's also home of the Civil Rights Museum and the Lorraine Motel, a must-see for all visitors to the city, including musicians. With so much rich musical and cultural history around, it’s hard not to get taken by the rhythm and blues. From Beale to Cooper-Young, Memphis has one of the most unique vibes of any city and can compete with the best of them (looking at you, New Orleans). The moody Mississippi is sure to spark some creativity and emotion even during the worst cases of writer’s block. Although rich in history, the modern Memphis music scene is often neglected and, I hate to say it, but it’s often forgotten by even those living in the city who are not actively part of the music scene. There are so many different musical subcultures happening around the city – and new ones emerging constantly – that it can be hard to keep up. The city hosts a large gospel scene; you can still see Al Green preach on almost any given Sunday. Goner Records is still one of the most popular punk institutions around, and attending its annual Gonerfest is a pilgrimage of sorts for fans of the genre around the world. Ardent Records is another label that many don’t realize is still actively working with (mostly Christian) artists, although the label is best known for its work with Big Star. There are so many talented, current artists whose sounds were crafted in Memphis (and many of them still call it home), from Marcella and Her Lovers to Valerie June to Star and Micey – these are all folks that Memphis had a profound influence on. It’s no Nashville; it hasn’t been overrun by big labels and glitzy public relations firms (and we hope it never will – sorry, Nashville!). It still has all the grittiness that appeals to those who are looking more to find their voice than find their image. 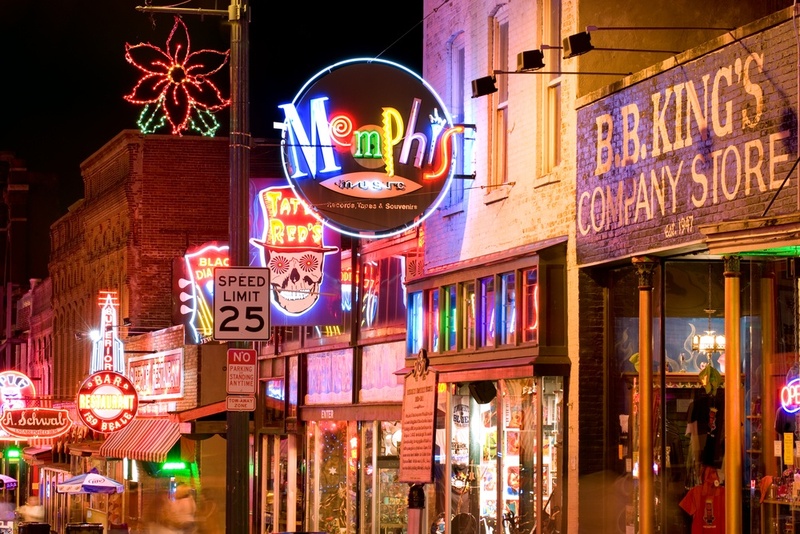 I’ve heard it said before and it never gets less true – Memphis is going through a definite Renaissance period. New things are emerging around the city all the time; whether it’s fun new restaurants or creative public murals, there’s always something new to check out. Y’all, people in Memphis are just nicer. The city doesn't care where you came from or even where you're going, but it cares that you are there with it for now. From the amazing home cooking at Gus’s Fried Chicken to movie nights with the entire city at the historic Orpheum, the whole city is ready to treat you like one of its own. They're more than ready for you to grit 'n' grind with the Grizzlies and see shows with you at the Levitt Shell. Memphis doesn’t feel cliquey in the same way that some cities can. From Manassas High School to way out in Germantown, there's a definite vibe that we're all in this together. If you're a musician looking to start somewhere fresh, Memphis will probably feel like home in no time at all. This all being said, it's often forgotten that Memphis is a major American city. It’s the biggest proper city in Tennessee (sorry again, Nashville) and is in the top 25 in terms of population in the entire United States. It's the home of businesses like FedEx and AutoZone. But even being a city of that size, it impressively manages to feel like a small town. I think this largely goes back to the idea of southern hospitality; people want you to feel like you matter, and they make it a point that you do. Memphis rewards those who care and, in my experience, venues are more than happy to take a shot on a new face. They want you there if you want to join them, and they'll bring you in with a smile. Ready to head south? Apply for free to play the Delta Fair & Music Festival in Memphis by August 16, 2016. Molly Whitehorn is an editorial intern for Sonicbids.